Verde Valley at a Glance - An Overview of the Verde Valley and its Communities-Cottonwood, Cornville, Clarkdale, Camp Verde, Lake Montezuma, Rimrock and Jerome in sunny Arizona. 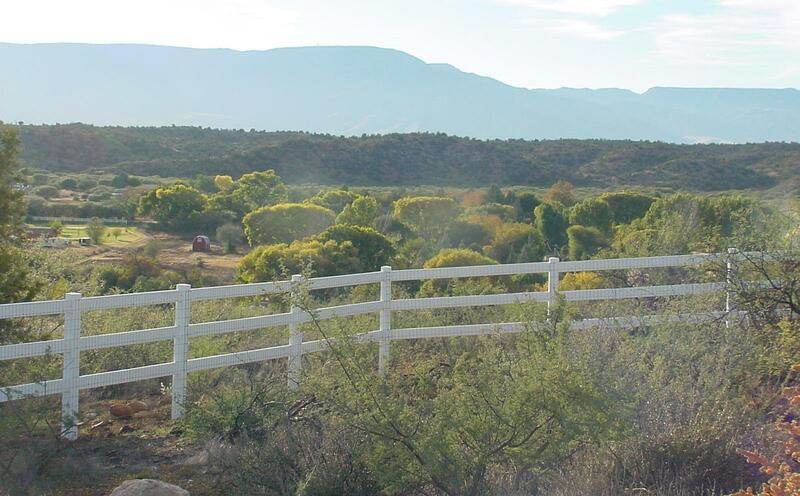 The Verde Valley is home to some of Northern Arizona's most charming and historic communities. Located in just about the geographic center of the Grand Canyon State, the Verde Valley is a verdant oasis surrounded by high desert land. Click this link for a Map of the Verde Valley. Cottonwood: Cottonwood, incorporated in 1960, located approximately 25-30 minutes southwest of Sedona, is the commercial center of the Verde Valley. The historic portion of Cottonwood, founded in 1879, provides a quaint town area with eclectic shopping and cultural opportunities. Clarkdale: A quaint small town that housed miners and their families in the heyday of the copper mining boom with a charming town square. The train station in Clarkdale is the departure point for the Verde Canyon Railroad's sightseeing trips along the Verde River through wilderness country unaccessible other than by hiking in. Cornville: The Cornville, Arizona area is a study in contrasts. Largely rural, it is nonetheless home to the Verde Valley's largest master planned community, the Brookfield Communities at the Verde Santa Fe Golf Course, with over 900 homes. Possibilities abound, and provide significant alternatives to Sedona from the standpoint of both price and size, while being only about 15-25 minutes away. Camp Verde: Drawn by the fertile land along the Verde River and the nearby mining camps of Prescott with a willing market for their fresh wares, farmers first settled in the area in 1865. Growing friction with the indigenous Tonto and Yavapai Apache tribes prompted the establishment of Fort Verde by the US Army. The Fort was closed in 1891, but you can still get a glimpse of what life was like then at Fort Verde Historic Park, and attend reenactments during Fort Verde Days, held annually on the second Saturday of October. Lake Montezuma: A residential community surrounding the 18-Hole Beaver Creek Golf Course. Wet Beaver Creek and the man-made lakes at the golf course provide a refreshing riparian greenbelt. Rimrock: while this area has been more rural in the past with manufactured and site-built homes on acreage, there are several residential subdivisions. Just about 25 minutes to Sedona, both Rimrock and Lake Montezuma share a post office and act as bedroom communities for the surrounding towns. Jerome: A busy and important copper mining town in its day, Jerome still has the charm of yesteryear, and has become known as a thriving community that has established a reputation for being home to many artists. It's a a great place to escape to for the day, whether just to shop and enjoy lunch or to join in the many events such as Jerome Art Walk.